I told the Major I would write something, but I didn’t really know what I would write. I did think of something on England rugby international players killed in the war. Then I thought, perhaps, a piece on England Internationals born outside the British Isles. In the end I did neither, but I did both. Here is the story of Ernest Ian ‘Pip’ Parsons. 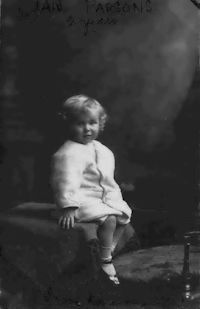 Pip was born on 24th October 1912 in Linwood, Christchurch, New Zealand. He had an older and a younger sister. He parents were born in New Zealand but paternal grandparents were English and maternal were Scottish. He lived in the Christchurch suburb of Sumner, named after John Bird Sumner who was Archbishop of Canterbury in the mid-1800s. Primary education was at the North Linwood school from 1919-1925. He completed his education at Christchurch Boys High School, playing in the school sevens team which won the inter-schools cup three years in succession. After leaving school he was employed at the Public Trust Office, and it was here he began the study of aviation. 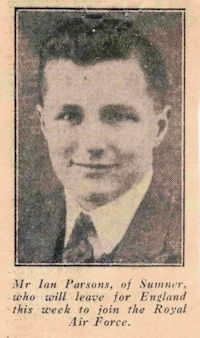 He played in the Old Boys senior 15 for three seasons before leaving tor England in 1933 to join the RAF. 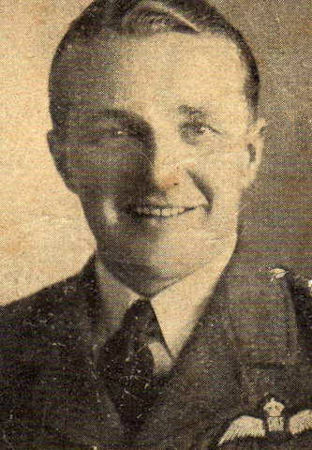 He left the RAF after a few years to take up a position as pilot instructor with Scottish Aviation Ltd, re-joining his squadron at the outbreak of war. 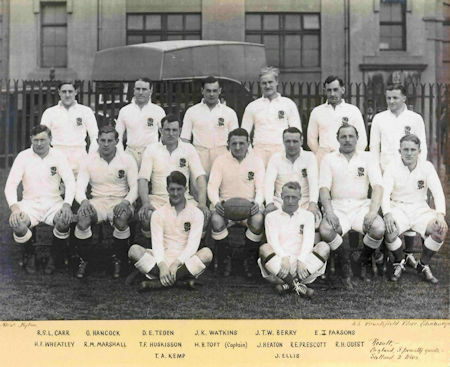 During this period he was playing rugby, representing the RAF and then Yorkshire in the County Championship, playing six games in 1938-9. His performances in these games were noted and he was invited to play in the final trial in early January 1939 for the Rest against England. The Rest won by 17-3, which put the cat amongst the pigeons somewhat. Pip was a full-back and Peter Lawless in the Daily Telegraph noted “he fielded extremely well”. The Observer’s correspondent said that Parsons was “given a deserved trial” but had hardly anything to do compared to his opposite number. He did, however, kick a conversion. Later that year World War II began. Pip was a pilot flying Armstrong-Whitworth Mk V Whitley bombers with No. 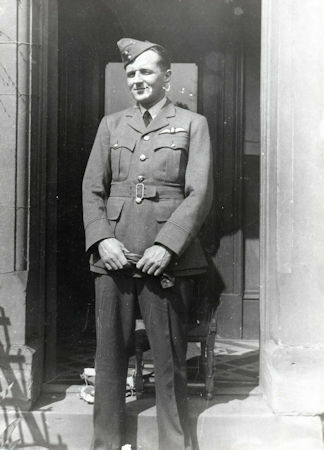 10 squadron, which was stationed at Dishforth till July 1940 then relocating to Leeming (both North Yorkshire). These were the first of the heavy bombers to be operational over Germany, although the very first mission was actually dropping pamphlets. 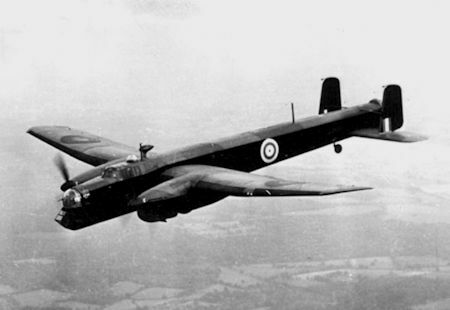 The Whitley had a strange nose-down appearance in flight, was twin-engined with a crew of five. In between missions, on October 6th 1939, he found time to marry Miriam Robinson in the District of Thanet, County of Kent. He was 26, she was 17. By the spring of 1940 Miriam was expecting. August 1940 was going to prove to be somewhat different. At this point we must backtrack to 1912 when Giorgio Graffer was born on 24th May in Trento, Italy. Growing up close to the Alps it was no surprise that Giorgio became a competent mountaineer, so much so that he was one of the most famous Italian mountaineers of his time. 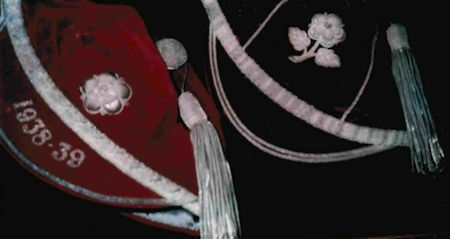 By 1931 he became a permanent officer of the Regia Aeronautica (the air force of the Kingdom of Italy) learning to fly at the Air Force Academy (Accademia Aeronautica). He was said to be a brilliant student. In June 1940 Capitano Graffer was commanding officer of 365a Squadriglia, 150o Gruppo, 53 Stormo C.T. This unit was based at Torino Caselle, near the French border. It was equipped with Fiat CR. 42 Falcons, a biplane fighter, not exactly state of the art but very manoeuvrable and immensely strong. The two pilots were to meet in the early hours of August 14th. On 13th August (see note below) ten Whitleys of No. 10 Squadron joined up with other planes (35 in all) of 4 Group to bomb the Fiat aero engine works in Turin and AMOI. (Sorry, I know on this forum it’s not the done thing to explain acronyms but AMOI stands for Any Military Objective Identified.) 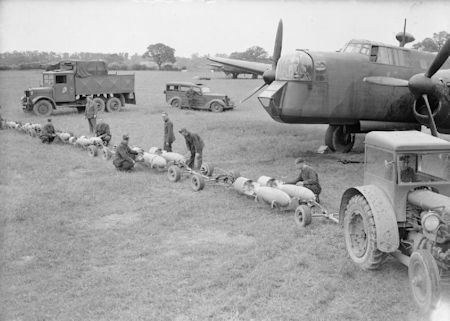 They set off from RAF Leeming via Abingdon where they presumably both ‘bombed up’ and fuelled. Leeming to Turin and back being only just within the service range of the Whitley. They would have left Abingdon around the time darkness fell. Pip was piloting P4965. The attack was scheduled to be between 00:05 and 01:25. “...the night of August the 14th I was ordered to scramble over Turin. I took off with a wingman against enemy planes signalled by the AA defence. Each of us started to search independently and I was lucky to discover an enemy from the flames coming from its exhaust pipes. I attacked it from astern and it returned fire hitting my engine. I tried again to shot at it from below but my guns refused to fire and the engine was losing oil. Considering that my plane was close to end its life I decide to try to collide with the enemy plane and save myself with the parachute. I flew over the enemy but the stream from its airscrews overturned my plane and I failed my first attempt, so I flew on the side of the enemy plane and I hit its empennages with my airscrew. My plane spun down and I abandoned it. I acted in this way because I’m convinced that the plane that I was flying had been given to me with the purpose of using it against the enemy and my action although quite dangerous if well conducted was not suicidal." I don’t know if any of you have flown a twin-engined bomber (no, I haven’t either) but when one engine is out of action there is little or no chance of gaining height. I’m not sure what height P4965 was at during the action, but it had a long way to get home. The pilots nursed it all the way, managing to cross the English Channel (La Manche for any French readers) until the Kent coast was in sight. The decision was made to crash land at Dymchurch Redoubt, just west of Folkstone. At this point the starboard aileron gave way and at 05:30 the plane fell into the drink about a mile off shore. 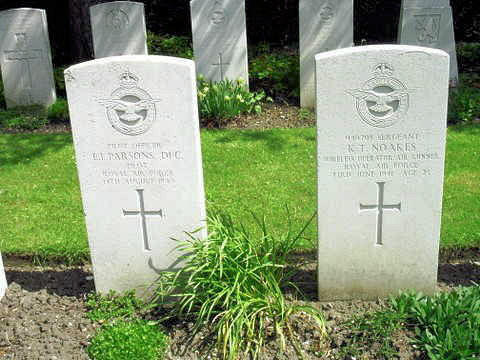 Both pilot (Pip) and co-pilot (Sergeant A. N. Champion) were killed. Their bodies were later washed up on the French Coast. 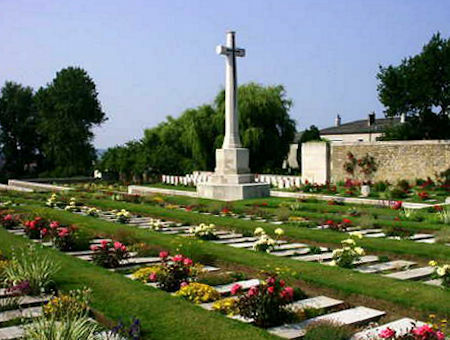 They are buried in the Boulogne Eastern Cemetery. 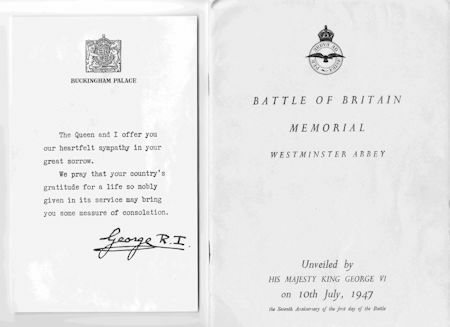 St. James's Palace, SW1, 20th August, 1940. On the morning of the I4th August a Whitley bomber crashed in the Channel and sank in three minutes. Two of the crew were rescued by a motor boat. Miss Peggy Prince, Air Raid Precautions ambulance driver, Dymchurch, set out from there in her small canoe, accompanied by a soldier, to try and pick up the remaining members of the crew. After searching for some time the boat returned. Miss Prince was not satisfied and elected to go out again by herself in the canoe. On this journey she picked up a Sergeant Wireless Operator, who was clinging to a buoy. Somehow the exhausted airman was got into the small canoe, and his rescuer paddled back to her home. He undoubtedly owes his life to Miss Prince's courage and determination. I don’t know how successful the mission was in allied terms but there were several firsts. P4965 ZA-H was the first plane from RAF Leeming to be lost, Ian Parsons was the first New Zealander to die during a bombing mission to Italy and Graffer was the first Italian fighter pilot to claim a kill at night. Graffer became quite a celebrity in the newspapers as the ace who took to the air in his pants. On the 28th November he too was killed, in a dogfight with Gladiators of 80 squadron. Pip’s daughter Tina Johnson Parsons was born on 8th November. Her second forename, Johnson, was given in respect of Pip’s best friend who died sometime between August and November. Miriam married a marine and subsequently settled in America. Why the title? Well, in a different time they would have met in Rome, played rugby against each and shared a beer or a bottle of wine. Life is strange. Life can be cruel. 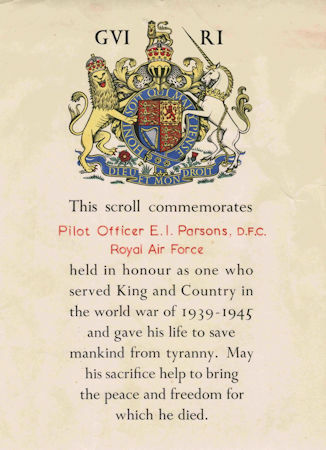 We must never forget the likes of Ernest Ian Parsons, DFC. Postscript: the original source text gives 12th August as the starting date. Both Graffer and the Gazette give the attack and crash date as the 14th. I have assumed that the source giving the date of 12th August is a typo. One would have to delve into original documents to be fully sure about the accuracy of the dates.